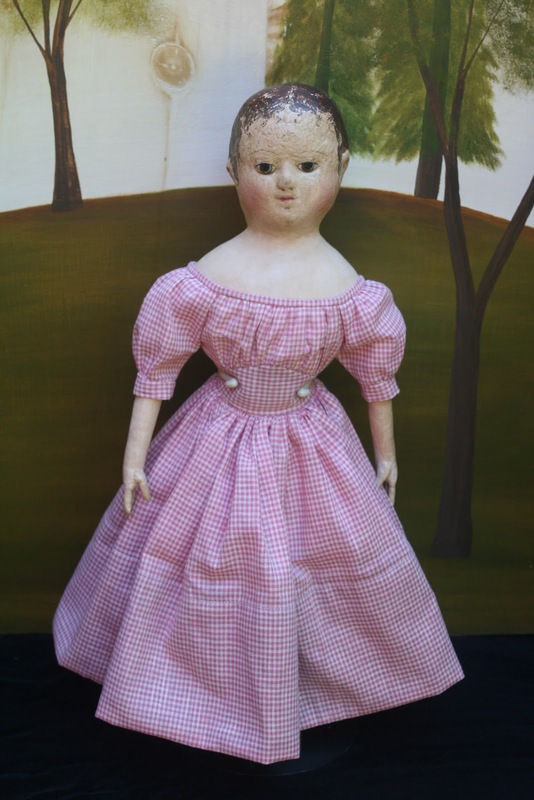 "This painted cloth doll is a reproduction of one of the pre-patent c. 1850-1860 Izannah Walker dolls in my personal collection. Made specifically for the Izannah purist, who values a strict adherence to original construction methods and materials. This is an 18-1/2 inch tall all cloth doll. Her head is made from layers of pressed stockinette and cotton. She has bare feet with individually stitched toes, and applied thumbs. 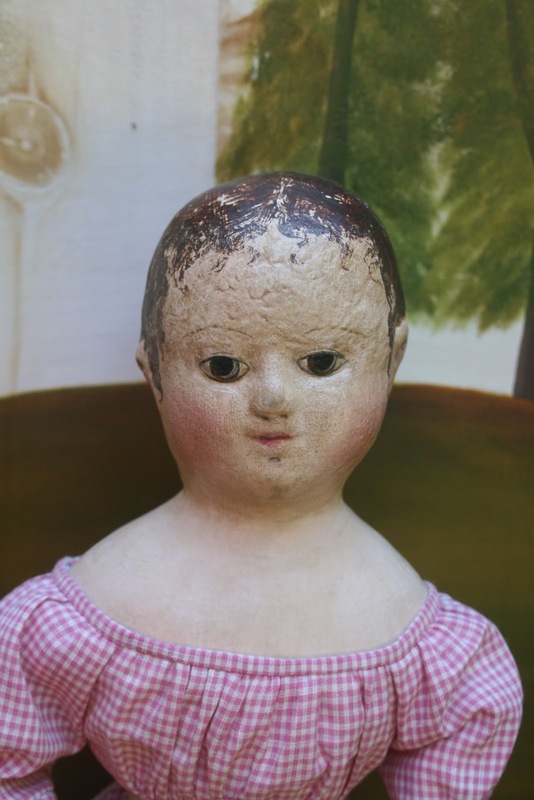 I drafted the patterns directly from my antique dolls and made the molds for the pressed cloth head using the original dolls. 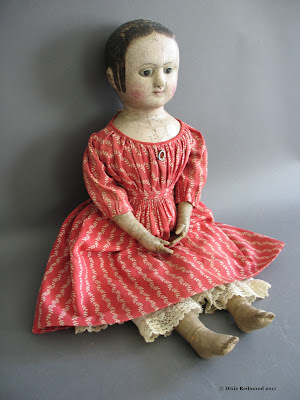 The doll’s body is made from 100% cotton fabric, her head is stiffened silk stockinet, and her “second skin” is made from glazed antique linen. She is stuffed with organic cotton stuffing to match the stuffing in the original dolls. 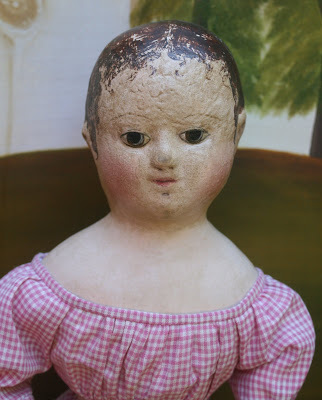 All painted areas on the doll were first painted with gesso and then several layers of artist oils." 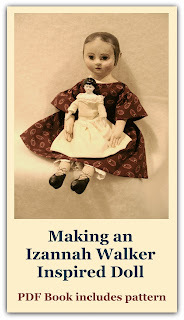 Paula Walton's Original Izannah Walker Doll, above. for more information about her creations. She has a very sweet countenance.